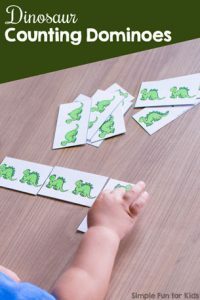 I’ve promised to continue sharing more of the matching games 2-year-old N loves, and here’s the next one: Dinosaur Matching Game for Toddlers. 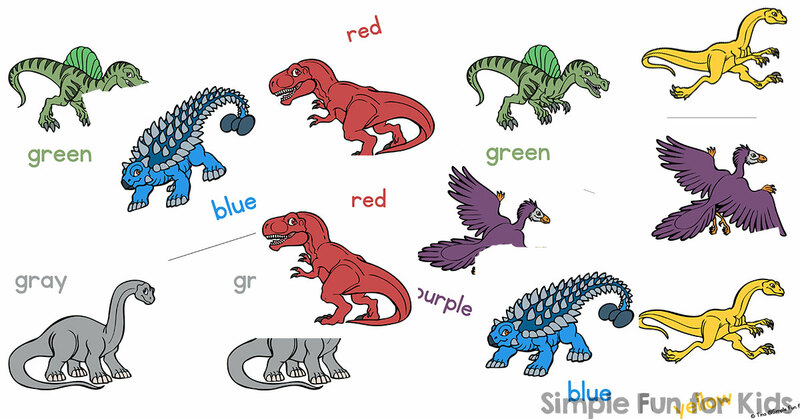 This game is perfect for learning colors, dinosaur names, visual discrimination, one-to-one correspondence, and more! 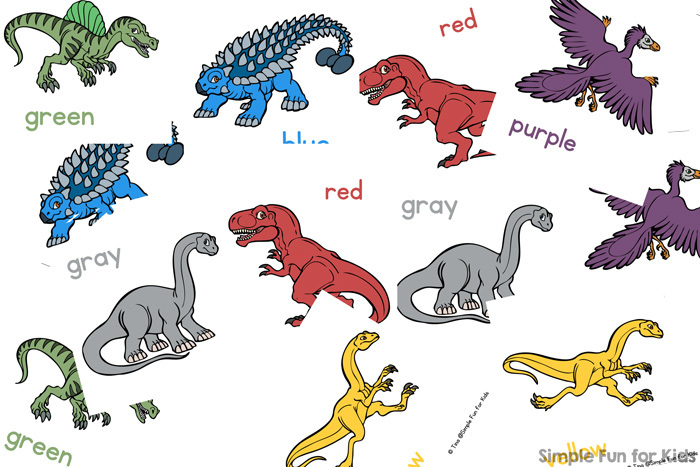 Dinosaur Matching Game pdf file (download below). 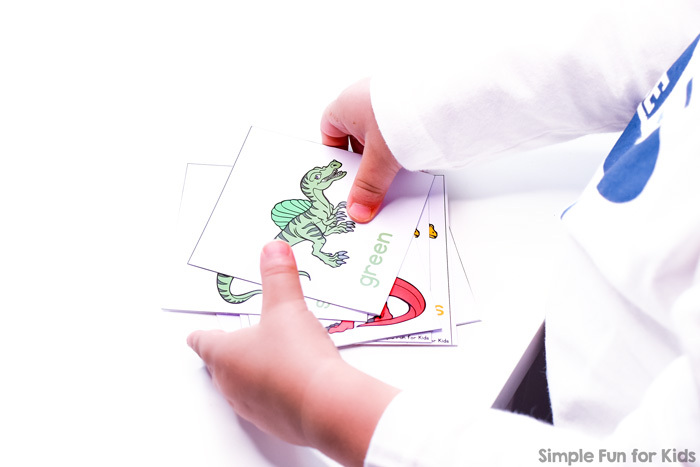 Two sheets of paper. 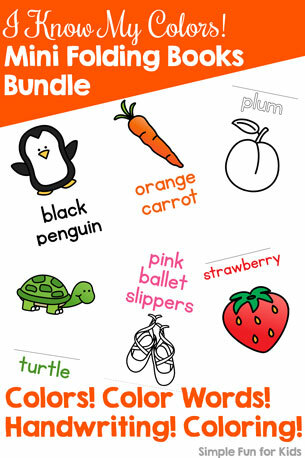 I like to use heavier scrapbook paper. 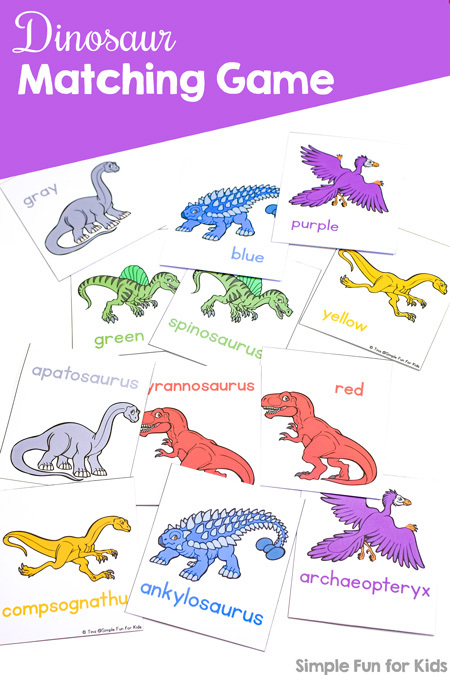 The dinosaur matching game features six different dinosaurs: a blue ankylosaurus, a red tyrannosaurus, a green spinosaurus, a purple archaeopteryx, a gray apatosaurus, and a yellow compsognathus. 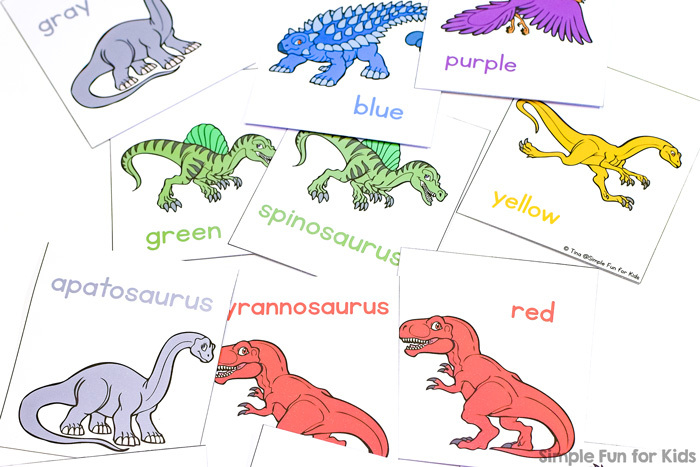 I’ve included three different versions of matching cards: One with the color names, one with the dinosaur names, and one with both the color names and the dinosaur names. 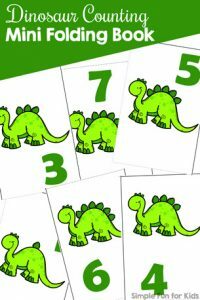 You’ll probably want to stick to one set of cards for younger toddlers, but you can definitely mix and match once your kids are up for it. 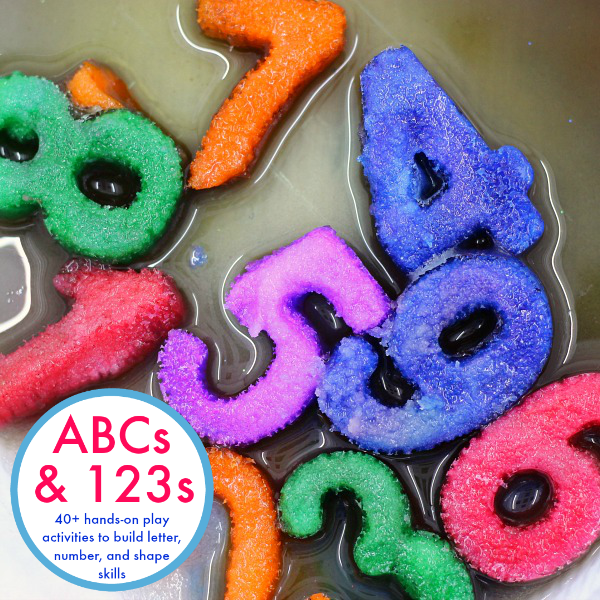 N didn’t really see a difference between the different sets. 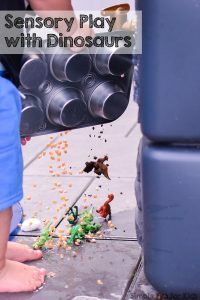 Looking for more dinosaur activities?